The Los Angeles Angels visit O.co Coliseum on Tuesday, September 5, 2017 to play the Oakland Athletics. The probable starters are Garrett Richards for the Angels and Kendall Graveman for the Athletics. The opening line for this matchup has Los Angeles at -135 and Oakland at +125. The Angels have a 65-67-4 over/under record and a 72-64-0 run line mark. The Athletics are 70-66-0 against the run line and have a 73-59-4 over/under record. The Angels have a 70-67 overall record this season. Starting pitcher Garrett Richards has a 0-0 record with an earned run average of 0.00 and a WHIP of 0.86. He has 4 strikeouts over his 4.2 innings pitched and he's given up 3 hits. He allows 5.8 hits per 9 innings and he has a FIP of 2.06. The bullpen has an earned run average of 3.63 and they have given up 409 base hits on the year. Teams are hitting .231 against the bullpen and they've struck out 491 hitters and walked 144 batters. As a team, Los Angeles allows 8.5 hits per nine innings while striking out 8.2 batters per nine innings. They are 12th in the league in team earned run average at 4.17. The Angels pitchers collectively have given up 1,156 base hits and 565 earned runs. They have allowed 193 home runs this season, ranking them 5th in the league. Los Angeles as a pitching staff has walked 412 batters and struck out 1,112. They have walked 3 men per 9 innings while striking out 8.2 per 9. They have a team WHIP of 1.29 and their FIP as a unit is 4.47. As a team Los Angeles is hitting .246, good for 26th in the league. The Angels hold a .397 team slugging percentage and an on-base percentage of .318, which is good for 22nd in baseball. They rank 27th in MLB with 8.2 hits per game. Andrelton Simmons is hitting .288 with an on-base percentage of .339. He has 145 hits this season in 503 at bats with 64 runs batted in. He has a slugging percentage of .445 and an OPS+ of 110. Mike Trout is hitting .333 this year and he has an on-base percentage of .466. He has totaled 107 hits and he has driven in 61 men in 321 at bats. His OPS+ is 202 while his slugging percentage is at .670. The Angels have 1,130 hits, including 210 doubles and 155 home runs. Los Angeles has walked 445 times so far this season and they have struck out 992 times as a unit. They have left 892 men on base and have a team OPS of .716. They score 4.42 runs per contest and have scored a total of 606 runs this year. Oakland has a 58-78 overall mark this year. With an earned run average of 4.54, Kendall Graveman has a 4-4 record and a 1.42 WHIP. He has 56 strikeouts over the 79.1 innings he's pitched. He's also given up 90 hits. He allows 10.2 hits per nine innings and his FIP stands at 4.34. The bullpen has an earned run average of 4.69 and they have given up 441 base hits on the year. Teams are hitting .249 against the Athletics bullpen. Their relievers have struck out 443 batters and walked 172 opposing hitters. As a team, Oakland allows 9.2 hits per nine innings while striking out 7.6 batters per nine innings. They are 24th in the league in team earned run average at 4.77. The Athletics pitchers as a team have surrendered 1,224 base knocks and 635 earned runs this season. They have given up 179 home runs this year, which ranks 11th in Major League Baseball. Oakland as a staff has walked 423 hitters and struck out 1,016 batters. They give up a walk 3.2 times per 9 innings while they strike out 7.6 per 9. Their team WHIP is 1.37 while their FIP as a staff is 4.57. As a team, they are batting .242, good for 28th in the league. The Athletics hold a .428 team slugging percentage and an on-base percentage of .316, which is good for 24th in baseball. They rank 28th in MLB with 8.2 hits per contest. Khris Davis comes into this matchup batting .233 with an OBP of .323. He has 114 hits this year along with 92 RBI in 489 AB's. He maintains a slugging percentage of .513 with an OPS+ of 122. Jed Lowrie is hitting .270 this season and he has an OBP of .348. He has collected 130 hits in 482 at bats while driving in 50 runs. He has an OPS+ of 112 and a slugging percentage of .438. 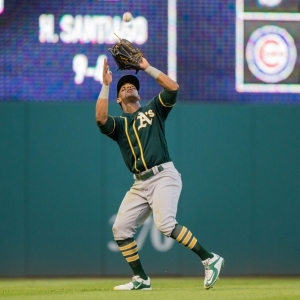 The Athletics as a unit have 1,109 base hits, including 253 doubles and 191 homers. Oakland has walked 474 times this year and they have struck out on 1,259 occasions. They have had 897 men left on base and have an OPS of .744. They have scored 4.39 runs per game and totaled 597 runs this season.